Thank you for your recent letter in which you say you set out ‘definitive answers’ to the serious concerns I have been raising with your organisation for some time, but most recently detailed in my letter of 8th July 2014. As you state, prior to this letter, we met on 4th July to discuss how you intended to respond to the concerns. As part of this discussion, we talked about the principle of independence in how organisations respond to very serious concerns. In our meeting, I suggested that you allow someone like Eric Soden (the external reviewer who previously found the decision Ann Abraham made in relation to the NWHSA to be ‘flawed’) to review the issues by looking at the papers. In response, you stated that would further consider this issue. On the 20th August, Sarah Fox responded to an email I sent inquiring about what steps you had taken to ensure a suitable level of independence had been applied to my concerns as follows. I am concerned that your organisation can make a statement like this. The lack of independence and objectivity in your response is instantly apparent and I believe would be obviously to any informed person, aware of the history who reads your letter. The letter has clearly been written with a great deal of thought, but in many aspects is not logical or consistent with the evidence. I do not intend to provide a line by line response as this is not necessary, but instead will respond to the key issues under specific headings. Your response to me repeats the reasons set out for not investigating Joshua’s case in Ann Abraham’s letter of 3rd February 2010.You summarise these reasons as follows. You also say that Ann Abraham’s letter to me states that the trust had put in place an action plan to address the acknowledged failures in Joshua’s care and that the clinical advisor believed that the action plan was robust. I will deal with each of these reasons in turn. In any sphere of safety, it follows that to know whether or not an ‘action plan is robust’ is only something that can sensibly be evaluated if the circumstances of what happened and why are properly established and understood. There is clear evidence that shows that the Ombudsman knew that the circumstances of Joshua death had not been properly reviewed. For example Kathryn Hudson stated in an internal email. Another clear example that demonstrates that Ann Abraham was aware that the Trust had not adequately responded to the circumstances of Joshua’s death is provided by the case officer, Harriet Clover, who is on record as saying. Ultimately, the fact that Joshua’s death had not been investigated properly and the Trusts action plan was insufficient to ensure adequate learning has been reinforced by the Ombudsman’s own report published in February 2014, the foreword of which states. If you accept that to develop a ‘robust’ action plan must first involve understanding a ‘clear view of what happened’; then any logical analysis of the facts, including what was known to the Ombudsman at the time, shows that this reason for not investigating Joshua’s death is flawed and doesn’t stand up to any level of logical scrutiny. If you are aware that a proper investigation to ‘establish a clear view of what happened’ has not been undertaken, there is no reasonable basis upon which it is possible to declare conviction or confidence in the quality of any resulting action plan; to do so is just guess work. It was unlikely that a full account of what happened to Joshua and why would be established by an investigation. I remain unclear as to exactly what the basis of this statement is. Perhaps Ann Abraham had so little confidence in her organisations ability to investigate such cases, the statement was a reflection on her concerns about the competency of capability of PHSO? What is absolutely clear however, is that a proper investigation of Joshua’s death did eventually arrive at a much better understanding of what happened to Joshua and why. This happened when we eventually secured an inquest into Joshua’s death in 2011, which triggered a range of regulatory actions that eventually exposed serious ongoing risks to mothers and babies at the maternity unit where Joshua died. By the current Ombudsman’s own admission, it is now accepted that a proper investigation into Joshua’s death (which Ann Abraham was aware at the time had not previously been carried out), could have ‘uncovered some of what the coroner found’. To pre-empt the likely outcome of a proper investigation in to the circumstances an avoidable death, makes no logical sense. This reason is therefore fundamentally flawed and has been shown to have been so from the events that have since occurred. CQC had confirmed that they were aware of the events at the Trust, had the Trust closely under review and were looking to see positive outcomes from the action plan before its concerns will be reduced. I agree that the matter of whether or not CQC would follow up on the Trusts action plan in relation to Joshua’s death and would look for improvements was communicated at the time. However, there are clearly a large number of major problems with this reason for not investigating. 1. The ‘action plan’ produced by the Trust was clearly not adequate and sufficient to address all the issues affecting the safety of maternity services at the time. Furthermore, the different responses from Joshua’s death from the Chief Executive and the midwifery supervisory investigation show that there was no clear view of what happened and why, even within the Trust. If Ann Abraham believed the action plan to be sufficient, the comment, it “…seems to us that…the greater need is for a broader investigation into the quality of maternity and midwifery services at this Trust’? does not make sense. Other than this note, nowhere in any of the documentation I have seen is any written reference to Ann Abraham’s view that there was a need for ‘broader investigation’ into the situation at the trust. This is highly significant because evidence from senior CQC staff involved at the time (reported in the Grant Thornton review) is that the PHSO decision not to investigation Joshua’s death was seen as a vote of confidence in the Trusts response to Joshua death and confidence that the Trust had responded properly. In summary, the reasons for not investigating Joshua’s death provided in February 2010 by Ann Abraham and repeated in your recent letter do not stand up to any kind of logical scrutiny. Furthermore, in 2009 when we came to the Ombudsman for help, we had exhausted the NHS complaints process and the Coroner had confirmed that he would not open an inquest. Article 2 of the European Convention of Human Rights (ECHR) places a positive duty on the state to investigate cases like Joshua’s. That fact that Joshua’s case met the Article 2 ECHR criteria for investigation was confirmed when our application for exceptional funding to support representation at Joshua’s belated inquest was granted by the Ministry of Justice. The successful application was made on the basis of exactly the same information which was available to Ann Abraham at the time she refused to investigate. This raises further serious questions about the decision Ann Abraham took not to investigate Joshua’s case. Your response to my questions starts by making a statement relating to what you believe my main concerns are. I think this is unfair since my letter clearly sets out my questions. I was not asking you to comment on any wider inferences, for example, whether or not pressure may have been applied on the PHSO not to investigate Joshua’s case. As you are aware, there are several concerns I have regarding the interactions which took place between Cynthia Bower and Ann Abraham relating to Joshua’s case. These concerns arose when I became aware of a memo from Kathryn Hudson to Ann Abraham which stated. The conclusion I drew from my discovery of this memo, which I maintain is reasonable and logical, was that a conversation must have taken place between Cynthia Bower and Ann Abraham during which Joshua’s case was discussed in context of what actions CQC may or may not take in respect and the Ombudsman’s decision as to whether or not to investigate. The language in the memo is significant and important. The words ‘robust action’ and ‘might decide not to investigate’ are key to indicating the nature of the discussion that clearly Kathryn Hudson understood to have taken place. Given other documentary evidence, I have concluded that this statement was not truthful and furthermore, that your organisation must have been aware of this at the time the letter was written. Your letter states “I want to be very clear that we have not been dishonest with you about the events that took place. In fact, we have done everything we can to be open and transparent with you and continue to engage with you regarding your outstanding questions”. I am afraid that this statement is not accurate and does not stand up to a logical analysis of the evidence. Had you allowed any external reviewer to look at the paper work and various responses over the years, I am certain that they would not share this conclusion. In relation to the specific example of the statement made to me in the letter of 17th August 2012, it is worth reflecting on the evidence. This statement suggests that the only thing discussed between Cynthia Bower and Ann Abraham was who Kathryn Hudson could contact at the CQC and ‘nothing more’. However, in evidence given to Grant Thornton, which you have now supplied, Ann Abraham (paragraph 26) refers to her recollections of the discussion as follows. The statement above, which Ann Abraham herself has made, clearly suggests that in fact a more detailed discussion took place surrounding Joshua’s case that the August 2012 letter implies. The statement above is consistent with Kathryn Hudson’s memo. The August 2012 letter states “There is no record of the conversation other than in Kathryn Hudson’s minute and so we cannot provide any further details about it”. This statement is also not correct. In fact, a pre meeting note was prepared which indicated that Ann Abraham intended to discuss Joshua’s case with Cynthia Bower. The agenda item is clear. The note asks the question. “It seems to us that, whilst we could investigate the specific events, the greater need is for a broader investigation of the quality of maternity and midwifery services at this Trust. Would CQC be receptive to that? It was therefore not true to state “…there is no record of the conversation other than in Kathryn Hudson’s minute and so we cannot provide any further details about it.” In fact, another record (the pre meeting agenda item) did exist but was not disclosed. It is clear from the evidence that the statement in the August 2012 letter was not accurate and I maintain that this response to my question was therefore dishonest. It seems likely to me that Kathryn Hudson’s contemporary note reflects a conversation that did take place. The pre meeting note from Ann Abraham reflects an intention to discuss the case including whether or not CQC would be ‘receptive’ to a ‘broader investigation of the quality of maternity and midwifery services’ at the Trust. Kathryn Hudson’s memo, the pre meeting agenda note and indeed, the statement Ann Abraham provided to Grant Thornton are all consistent with such a discussion having taken place. The question here is not whether or not it was proper for Ann Abraham and Cynthia Bower to have a non documented discussion about strategic decisions relating Joshua’s case; the issue is around clarity regarding what was agreed and the reasons behind it. The pre meeting agenda item clearly indicates that Ann Abraham felt that there was a need for a ‘broader investigation’ into the issues at the Trust, yet the emphasis in the eventual decision not to investigate is on the adequacy of the Trusts existing action plan and CQC’s oversight of it. Could lives have been saved had Ann Abraham investigated Joshua’s case? Your letter states “I do not agree that a decision to investigate your original complaint would have exposed the failures at the Trust any earlier. The facts show that the problems at the Trust were already well known and CQC confirmed that they would take action. That was their role as the regulator. To suggest that an investigation by us would have exposed wider problems at the Trust regardless of CQC’s involvement demonstrates a failure to understand the role of the Ombudsman”. You say “Our role is to consider individual complaints. It is not to act as an early warning system or a regulator”. I am afraid that this description demonstrates a gross failure to understand the factors at play which resulted in the serious risks to mothers and babies at Furness General Hospital (FGH) being left unaddressed for a significant time following Joshua’s death. Your statement that “The facts show that the problems at the trust were already well known” is not fully accurate. In truth, inconsistent and different views were emerging within different organisations and by different people. The situation was far from clear. The evidence for this confused situation is set out very clearly in the Grant Thornton report. If you had taken the time to consider a fuller picture of what was happening, you would have understood that far from a consistent view, the picture was unclear and muddled. For example, the North West Strategic Health Authority (NWSHA) were of the view that there were no significant issues, that the events at FGH maternity unit in 2008 were ‘unrelated’ and that the trust themselves had responded properly to the issues. Indeed, even within the trust itself, there were large disagreements regarding what happened to Joshua and why. For example, there were discrepancies between the opinions expressed in the Trusts ‘external’ report and in the report produced by the maternity risk manager for the Local Supervisory Authority (LSA). The reality is that Ann Abraham’s decision not to investigate Joshua’s death left a situation whereby the full circumstances of what happened and why had not been properly investigated or established and whereby different organisations held very different views as to the nature and seriousness of the situation at the maternity unit at FGH. This lack of clarity and confusion was further compounded by Ann Abraham’s flawed decision not to investigate my complaint about the NWSHA, whom were providing assurance that the Trust had adequately addressed the issues associated with Joshua’s death. You state “To suggest that an investigation by us would have exposed wider problems at the Trust…..demonstrates a failure to understand the role of the Ombudsman”. I am deeply worried by this statement because it appears to suggest that you believe a thorough investigation into a single incident cannot expose wider, systemic problems within a service. This is a flawed assertion and demonstrates a worrying lack of understanding regarding the principles of safety. Clearly a single incident or complaint can and often does expose wider systemic failings. The case of Gillian Asbury highlighted during the Francis inquiry is a clear example. Again, I am concerned by your statement “Our role is to consider individual complaints. It is not to act as an early warning system…”. This statement implies that an ‘individual complaint’ about an avoidable death, when properly investigated can not be an ‘early warning’ of serious problems. This is clearly nonsense. Furthermore, in Joshua’s case, the actual events that followed Ann Abraham’s decision demonstrate irrefutably that when a proper investigation was finally undertaken into what happened to Joshua, wider systemic problems were identified and the Coroner felt compelled to write a rule 43 letters recommending actions to avoid future loss of life. Following a simple logical process, it follows that had the Ombudsman investigated Joshua’s death robustly and properly at the time, several of the factors that heavily contributed to a situation in which serious risks to mothers and babies at FGH were left unaddressed for so long, could not have prevailed. A proper investigation would have left no room for different perceptions and views which existed within different organisations to emerge about whether or not the Trust were taking the necessary actions to learn from Joshua’s death. It is my firm belief that had the Ombudsman investigated Joshua’s death in a robust way at the time, the extent of problems at the maternity unit at FGH would have emerged sooner and action could have been taken to prevent further loss of life. I am aware that the Kirkup investigation has screened 200 case notes relating to perinatal and maternity deaths at the Trust and has taken a decision to take 50 of these cases through to a more detailed review stage. I am confident that the Kirkup investigation will establish how many avoidable deaths occurred at FGH following Joshua’s death and whilst we may never know whether or not a timely Ombudsman investigation would have made a difference, we can be certain that it was an opportunity missed that could well have. Towards the end of your letter, you respond to my point about your admission during our meeting on 4th July that the current PHSO processes for investigating cases of potentially avoidable death is not currently ‘fit for purpose’. I welcome what you have set out in terms of the changes being made and your openness in stating that there is ‘a long way to go’ and that you are aware of the need to be ‘much more open about the need to modernise…in the months ahead’. I also welcome confirmation that your risk assessment processes have changed and that you agree that “… where there is a potential avoidable death our focus should be on the risks to health and safety of patients and not whether there might be media interest in our work’. I am also pleased to hear that you no longer use the categories ‘risk to our reputation’ and ‘risk of litigation’ in relation to your casework. I have explained in this letter why I feel that the response to my concerns and questions regarding the former Ombudsman’s decision not to investigate Joshua’s death has been dishonest. My view in relation to this has not changed and I strongly feel that the evidence available supports this. In your letter, you also say that you “…believe it is inappropriate for [me] to place an image of our name next to picture of Joshua and Furness General Hospital as this implies, wrongly, that we might be responsible for, or implicated in, his death”. I have to admit to finding this statement odd. In what is almost 6 years since Joshua died, I do not believe I have ever said or written anything to the effect of implying that the Ombudsman are responsible for or implemented in Joshua’s death. However, I do believe that the Ombudsman are directly responsible for letting down Joshua, my family and the community served by Furness General Hospital for failing to investigate what happened. I believe that the actions of your organisation at the time were in fact reckless and dangerous. For these reasons, I feel that it is entirely appropriate for Joshua’s image, and that of Furness General Hospital to be shown next to an image of the PHSO name. Towards the end of your letter, you refer to what you describe as my belief that the decision not to investigate Joshua’s case in 2009 was linked to a ‘political conspiracy in advance of the General Election’. This is a misrepresentation of my views. My belief is that towards the period of time prior to the last general election, evidence exists that points towards a general culture prevailing in which bad news in the NHS was kept quiet. I strongly believe that ensuring such a culture is never allowed to prevail in the future is an important lesson from recent healthcare scandals, including Morecambe Bay. I welcome measures announced by the Secretary of State to strengthen political independence in healthcare regulation as described in the article below. In our conversation on 21st July you asked me about these issues and I stated that the Kirkup investigation would be the most appropriate mechanism to consider the legitimacy of such concerns. Your response to my concerns lacks independence and objectivity. This could have been addressed simply by allowing an external reviewer to comment on the case papers. I have repeatedly asked for such an independent review to be undertaken and this has repeatedly been refused. Your response demonstrates a lack of understanding in relation to the sequence of events and the factors at play which led to ‘significant risks’ remaining unaddressed at Furness General Hospital for some years after Joshua died. Your response has not addressed the issue of dishonestly, which I have set out again clearly in this letter. Your arguments in relation to whether or not the decision not to investigate Joshua’s death increased the risks to mothers and babies at Furness General Hospital does not stand up to any logical scrutiny. Your statement “Our role is to consider individual complaints. It is not to act as an early warning system…”, is concerning. Individual complaints can clearly be an early warning of serious problems within an organisation. I would expect the Ombudsman to understand this principle. Since losing Joshua in November 2008, nothing could have prepared me for the agony and frustration of dealing with the system we were faced with. Of all the organisations I have had to deal with, the Ombudsman service, by some considerable margin has been by far the worst. In the years since Joshua’s death, your organisation must have spent thousands of pounds on solicitors and legal advice, constructing letters which try to defend the indefensible. In all that we clearly still disagree on, I hope we can at least agree that these circumstances must never be allowed to happen again. This entry was posted in Uncategorized on August 30, 2014 by patientsafetyfirst. Is childbirth a risky business? I’ve been quite shocked recently by some of the information and messages I’ve seen via social media relating to the risks associated with pregnancy and childbirth. If you believe everything you read, then you probably think that childbirth is one of the riskiest activities any human can undertake. Actually, it isn’t, and statistically you’re massively more likely to meet your maker behind the wheel of your motor. But let’s look a bit more closely at the figures. In the UK, in 2009 there were 4,125 still born babies and 2,511 neonatal deaths (6,636 in total). 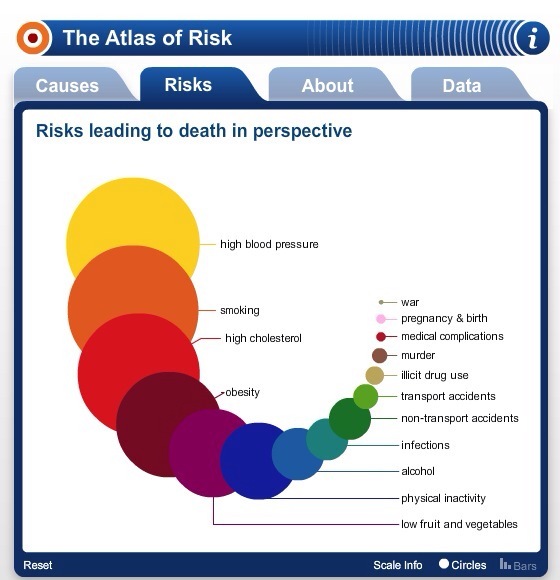 This compares with the total number of traffic related deaths in the UK (according to the Atlas of Risk) of 2,680. Sadly, we know that some of these stillbirth and neonatal deaths would be unavoidable, even with the very best midwifery and medical care. But we also know (for example from the 2013 Cumbria confidential maternity inquiry), that many could be avoided. The UK still has very poor perinatal death figures compared with other developed countries. But these figures alone do not give an accurate perception of relative risk. In the UK, we spend considerably more time travelling on roads than we do in childbirth. The total exposure to the risks of road travel for the whole population is therefore considerably higher.The actual risks associated with childbirth have been scientifically reviewed in this paper published by the International Journal of Obstetrics and Gynecology. The paper found that the relative risk of death on your day of birth in the UK is approximately 430 times the risk associated with a 200 mile car journey. In a week’s time, I’ll be going on holiday with my family and 2 children and doing a car journey of a similar distance. In preparation, this week I’m going the get the car serviced and I’m going to carefully check the tyre pressures and tread. The night before the journey, I will make sure I get plenty of rest. When we set off, I will check that everyone is wearing their seatbelts properly and I will drive with care, sticking to the speed limit and leaving a good distance between my car and the car in front. My wife and I will have made a conscious choice about the journey; knowing the risks of travelling by car with the people we love the most. Being acutely aware of risks and possible consequences, helps us make informed decisions and better judgements about how we behave. The truth is that sometimes in pregnancy and childbirth, things can and do go wrong. Sometimes subtle changes, a low temperature in a newborn baby, a fluctuation in a CTG reading, can be a sign that something is seriously wrong and intervention is needed. The truth is that ‘you’ (and this is a collective ‘you’ as we were all once babies in the womb), are not ‘massively more likely to meet your maker behind the wheel of your car’, you are in fact 430 times more likely to die during the process of childbirth than you are during a 200 mile car journey on the UK’s roads. The day of your birth is the most dangerous day of your life up until you reach the age of 92. This entry was posted in Uncategorized on August 17, 2014 by patientsafetyfirst. I graduated in 2001 from Leeds University with an Engineering degree and a need to clear my overdraft and student debts and get a job. In September 2001 (the same week at the 9/11 attacks), I starting work as a graduate trainee for a large engineering construction company. I spent my first week with the company’s Director of Heath and Safety, travelling around different construction sites in the UK and learning about the company’s approach and philosophy to safety at work. I quickly understood that in the world of engineering construction, nothing was more important. In 2002, after working at various UK sites, including a nuclear power station in the northwest of England, I was offered the chance to work in Vietnam. This was an opportunity that I didn’t turn down. A few weeks later, I found myself landing at Hanoi airport and travelling by road (half newly constructed and half dirt track) to a small village called Pha Lai, about 60km to the north. I would be working on two newly built, coal fired power stations and taking part in the commissioning and performance testing of the units. It was hard, involving working in high temperatures, long hours and getting dirty, but was an amazing experience. On free weekends, I used to travel to Hanoi and stay in the luxury of a modern hotel and enjoy the sights, sounds and tastes of the city. It was on one of these weekends that I met Hoa, an economics graduate from Hanoi University, who happened to be working in the hotel business centre when I was catching up with emails from back home. We struck up a conversation. It was the start of a good friendship. We met the next day (she happened to be off work) and I travelled on the back of her motorbike around Hanoi seeing some of the sights; Ho Chi Minh’s Mausoleum, the American War Museum and Hanoi’s ancient library. It was a friendship that grew. We met most weekends and over time, our friendship grew into something more. My contract in Vietnam lasted 6 months and when it finished, Hoa took a holiday from work and came to visit me in the UK. It was during that holiday, in March 2003, that we discussed getting married. We spent the first few months of our married life together living in a caravan whilst I worked at Drax Power Station in Yorkshire. Looking back, Hoa must have wondered what on earth she had let herself in for. After this, I spent another year travelling back to Vietnam and later worked on projects in China. Throughout this time, Hoa either travelled with me or stayed at home with her family in Hanoi. In 2004, Hoa became pregnant with our first daughter, Emily. Shortly after, we bought our first house, a small two bedroom terrace in the town of Dalton-in-Furness, not far from where my parents live in Cumbria. Emily was born at Furness General Hospital on 25th February 2005. Like, I suspect, many first time Dads, I found the experience of childbirth traumatic. It was a very long labour. Hoa didn’t have pain relief but towards the end of the labour she asked for gas and air. By the time Emily was born, Hoa had bitten down so hard on the mouth piece that her bottom lip became badly swollen. The birth was difficult and Hoa needed a lot of stitches. It wasn’t until after the birth, when the midwives checked the gas and air bottle that it was noticed that the mouthpiece was disconnected from the gas bottle. At this point the gas and air bottle was reconnected and Hoa finally inhaled actual gas. She was sick a short while later. As a father, I didn’t know what to expect from the birth but the experience was quite harrowing. I was anxious for Hoa and Emily. In the end though, we had a healthy, perfect and beautiful baby girl and we were ecstatic. We wrote to thank staff at the maternity unit and I was left with a genuine admiration for midwives; for what they do day in and day out. After Emily’s birth, we settled down in our little house in Dalton. My company was good to us and realising overseas contracts weren’t ideal for a married man with a new born baby, I was offered an opportunity work on a nuclear project at Sellafield; close enough to travel home each day. Having worked in the engineering construction industry for some time, health and safety was always a big part of my working life, but work at Sellafield took this to a new level. There was a comprehensive training programme, robust systems and processes for risk assessment, training on human performance and a culture of safety that was genuine and bought into by everyone. In 2007, I moved from the commissioning team to take on a position as a project manager. I started work on a new project and took responsibility for managing and delivering some of the major subcontracts. The job involved some overseas travel, with monthly trips to the US but otherwise I was back home in the evenings on most days. In early 2008, we had some great news. Hoa was pregnant with our second child. I remember excitedly sharing the news with my parents and telling Emily about it. We discovered that the baby was going to be a boy and at first decided to call him John. I remember one day having my hair cut in town and talking to the hairdresser about baby names. The hairdresser mentioned she like the name ‘Joshua’ and that was the moment I made my mind up. With Hoa’s agreement, John became Joshua (much to Emily’s disappointment!). The pregnancy went well, Hoa being the perfect mother. Perhaps even obsessively eating organic food and keeping fit. In the months leading up to the due date, we arranged for Hoa’s mum to come and visit from Vietnam. We had recently moved house and made the baby’s room as nice as possible. We had a little wardrobe ready for Joshua and were excited and looking forward to having another member of the family in time for Christmas. It was the week starting the 20th October 2008 that was going to change our lives forever. The whole family had been feeling poorly for a few days. Emily had been sent home from nursery the week before and Hoa and I had been feeling ill with sore throats and headaches. I finished work on Friday 24th pleased to have the weekend to rest. On Saturday night at about 9pm, I heard Hoa shouting in the bathroom, her waters had broke. Trying to stay calm, I phoned my mum and told her what was happening. My mum told us to phone the maternity unit and arrange to go in, she told us about the risk of infection and that we must be sure to tell the staff that we had been feeling poorly. We phoned the hospital and were advised to go in. Before describing the events that followed, I want to talk a bit about what was going through my mind. I’ve spent many years going over the events of the following few days and reflecting on what happened. During Emily’s birth, I had felt anxious and worried. The experience had been stressful but the outcome had been wonderful. My expectation this time was that I was bound to feel just as anxious. I knew a bit more about childbirth and I promised myself that this time, I would be more relaxed and place my trust in the staff. My role would be to stay calm and reassure Hoa. I wanted her to be as relaxed and confident as possible. These were the thoughts in my mind when I drove Hoa to the maternity unit at FGH on 25th October 2008. When we arrived, the unit was expecting us and we were taken to a smallish room where we explained what had happened. Hoa was upset and was crying. The midwives asked her what was wrong and she and I explained that she had been feeling poorly the week before with headaches and sore throats. Hoa was tired and was worried something was wrong. We were told not to worry and that the illness was probably ‘a virus’ and that ‘there was a lot going around’. I remember these words very clearly but had no idea how important the issue was later to become. Although we weren’t aware of the significance, on the 25th October 2008, my wife’s gestation was exactly 37 weeks. We have since learned that NICE guidelines recommend that any woman whose waters break before 37 weeks should be given precautionary antibiotics prior to labour to mitigate against the increased risk of infection. No anti-biotics were given, and instead, we were reassured that everything was fine. The midwives took temperatures and monitored for contractions (there were none) and the foetal heart rate was monitored. We were given advice about monitoring Hoa’s temperature and checking on the colour of fluids and then we were sent home and told to come back if the contractions started or the next morning for another checkup. We were told ‘we don’t do inductions at the weekend’ and that was why we would be sent home to wait for the contractions to start. Throughout the night nothing happened, so we went back to the maternity unit the next day. Here, the same checks were carried out and we were again given advice to go home and wait for contractions to start or to come back the next day (Monday). We went home, we drove to my mum and dad’s house and went for a walk to see if we could spur the contractions on. Nothing happened. We went for an evening meal in a local pub but still no contractions. We went home and had an early night, by this time getting a little anxious. However, in the early hours of Monday morning, at around 5pm, the contractions arrived. We phoned my parents who came around straight away. I phoned the hospital who told us to wait until the timing of the contractions was closer together. This happened very quickly and at 6.30am I drove Hoa down to the hospital. She was quickly assessed and almost immediately transferred to a labour room and just in time. Joshua was born at exactly 07.38am on Monday 27th October 2008. Hoa delivered Joshua on all fours and the midwife had suggested that I could cut the cord. However, when Joshua was born, he was very blue, floppy and appeared not to be breathing. The midwife cut the cord and Joshua was taken straight away to a small table at the side of Hoa’s bed where he was placed on his back. I was worried but the midwife told me it was OK and started to rub his chest saying, “come on little fellow”…still nothing. Joshua was blue, limp and unresponsive. There was more rubbing of his chest. By now Hoa was also anxious and was asking what was wrong. At this point, the midwife told me that she would take Joshua out of the room to give him some oxygen to “get him started”. She told me that I could go with her, so anxiously I followed Joshua and the midwife out the room and into a small side room just opposite. The door to the birth room was left open. At this point, Joshua was given a short blast of oxygen with a facial mask and almost immediately let out a big cry and started to breath. I told the midwife that I must go and tell Hoa but she replied, saying that I didn’t need to worry as Hoa would have heard the cry. She had. We were both relieved. Joshua was carried back into the room; his colour much better. He was pink and looked healthy. Hoa had her first cuddle and we both had tears in our eyes with pride. All parents feel this way about their babies, but Joshua really was a perfect and beautiful little boy. I felt like all my worries were over. Joshua was born and we had all the time in the world to spend with him and get to know our baby son. Joshua was wrapped up in blanket and was put in his cot. He was born just as the night shift was finishing so the midwives who delivered him disappeared soon after his birth and we were left alone. I took some photos of Joshua in his cot and phoned my parents to tell them the good news. I then held Joshua in my arms and gave him a long cuddle. About 30 minutes later, Hoa told me that she felt very cold and unwell. I put my coat over her but she got worse quickly, starting to shake and asking me to get help. Suddenly I was very concerned and with Joshua in my arms I went out in to the ward to look for help. The ward was quiet and it took me a few minutes before I found someone. When I did, the midwife was concerned that I had carried Joshua out of the room and mentioned that I shouldn’t have as doing so was a health and safety issue. I explained what had happened to Hoa and the midwife came with me back to the room. Joshua was placed back in his cot. By this stage, Hoa was clearly very unwell. Her eyes rolled to the back of her head and she was barely responsive. The midwife tried to take her blood pressure but the machine didn’t appear to be working. She took Hoa’s temperature which was very high and then explained that she would call for some fluids and antibiotics. The midwife then left the room. In what seemed like a very long time, but was probably only around 15 minutes, the midwife arrived with an overhead drip, explaining that she would cannulise Hoa and start the drip of fluids. She explained that the antibiotics were on their way. The midwife had some trouble inserting the cannulla. It took a while but eventually was inserted and the fluids drip started. The antibiotics took about 10 minutes longer to arrive. When they did, the midwife couldn’t manage to insert the cannulla at all. Help was summoned and a short while later a junior doctor appeared on the scene. However, he again couldn’t insert the cannulla and a second doctor was called. This time, the second doctor managed to get the cannulla in and the antibiotic drip was set to work. At this point, as the doctor was leaving the room, I stopped him and asked if Joshua might need antibiotics and would he look and make sure he was OK. The doctor gave me an almost frightened look and just waved his hand dismissively before leaving the room. I then asked the midwives in the room whether or not there was any risk that Joshua might also need antibiotics. The response I got back was clear and absolute. ‘Joshua is absolutely fine; it’s your wife you need to be concerned about’. With hindsight, I don’t know why I didn’t scream at the top of my lungs at this point. If I’d been a better dad, could I have run out the labour room and demanded to see the person in charge of the unit? Could I have insisted that a paediatrician came to see Joshua to access him? If I had done, the following sequence of events and the rest of my life would have been quite different. Instead of screaming, I took the reassurance I was given. But not without further probing. I stopped one of the midwife saying, “I don’t understand why Joshua doesn’t need antibiotics given that my wife does”. The answer I was given was that, “The infection in Hoa was a different system” and, “We know Joshua is fine by looking at him”. Why would any intelligent dad accept an obviously incorrect explanation like this? I can only think back to what was going through my mind at the time. The birth of Emily had seemed horrific to me, yet the outcome was a healthy and beautiful baby girl. Who was I to be anxious about Joshua when he was being cared for by professional staff that see newborn babies every day and know what they are doing? Around two hours later, Hoa had made a good recovery. She opened her eyes and was able to talk. It was a huge relief. Hoa asked about Joshua. She was deeply concerned. I gave her the reassurance that I had asked the midwives if he was OK and been told he was fine. Hoa remained anxious and told me to ask about Joshua again. A short while later, around midday, a midwife came in to the room and told us that we were going to be moved to the postnatal ward. At this point, I asked again about Joshua. I explained that Hoa and I had been feeling poorly before the birth, that Hoa’s waters had been broken for two days before Joshua was born and that Hoa had collapsed after the birth with a fever and needed antibiotics and fluids. In response, the midwife told me that she would phone through to the paediatricians and ensure someone came to look at Joshua. The midwife went off and a short while later, another midwife came to help us move into the postnatal ward. Hoa was put in a wheelchair and Joshua was pushed in his cot. As we were walking along the corridor, two pieces of information were given to us. Firstly, we were going to be placed in a small room with ‘isolation’ written on the door, but that we shouldn’t worry because the only reason this was happening was because the main postnatal ward was full. Secondly, the midwife whom I had spoken to and had told me she was going to phone to ask the paediatricians to review Joshua, appeared on the scene and told me, “I’ve phoned the paediatricians but they were very busy, but don’t worry because we are going to monitor Joshua very closely every hour to make sure he is OK”. I don’t know how many times I’ve run through these moments in my mind. Why did I accept this and why didn’t I insist something more was done? The answer again was trust. I trusted what I was told and believed that if there was any chance Joshua was at any kind of serious risk, the staff would take action. Once in the small room with ‘isolation’ written on the door, Hoa and I were left alone and time passed. We kept thinking that someone would pop in and check on us, but more time passed. Hoa started to get anxious that Joshua hadn’t fed but asked me if it was safe to breastfeed Joshua given she had collapsed with an infection and was on an antibiotic drip. I told Hoa I would go out to try and find a midwife to ask. When I felt the room, I couldn’t see anyone around but as I walked down the corridor, I saw an open door and a large group of midwifes were inside chatting and drinking tea. I popped my head around the door and asked if I could speak to someone. There was obvious displeasure at my presence and one midwife approached and spoke to me. I asked if she was aware of my wife and Joshua and the history of what had happened and she didn’t seem to know. I explained that my wife and I had been feeling unwell before the labour, that Hoa’s waters had broken two days before Joshua was born and that my wife had collapsed after the birth and needed antibiotics and fluids. The midwife said she was aware of all this. I asked her why no one had been to see Joshua as I had understood Joshua was going to be monitored ever hour. She told me quite crossly that I was wrong and that the plan was that someone would monitor Joshua every 3 hours and that someone would be along shortly. I thanked her and told her that my wife was worried about breastfeeding Joshua because of her infection. A short while later, a maternity assistant came into the room to help. We asked if Joshua was OK to breast feed and were told not to worry and that she would help feed Joshua with formula and a syringe. I helped the maternity assistant feed Joshua, he was mucousy, sleepy and lethargic and wasn’t at all interested in taking the milk. We asked about Joshua’s presentation and were told that it’s normal for new born babies to be mucousy and lethargic. The story of Joshua’s life over the next 18 hours is still hard for me to understand or comprehend. He continued to be lethargic and mucousy but another concern started to emerge. On several occasions, Joshua’s temperature was measured and found to be very low. The temperatures recorded were written on a bright yellow observation chart which was kept by Joshua’s cot. Hoa clearly remembers reading two of the temperatures on the chart, one being 36.1 deg and the other 35.8 deg. We had no idea of the significance of this at the time. In response to Joshua’s low temperatures, he was moved in and out of some form of heated cot. At one point, an overhead heater was placed directly above him. I remember Hoa asking me if he was OK and not too hot and when a midwife in the room overheard, she put her hand on Joshua’s skin and feeling how hot he was, quickly pulled the overhead heater away saying, “We don’t want to cook him’. Throughout the rest of the day and night we were told that Joshua’s temperature was too low. On at least three occasions he was transferred to a different cot with some form of heating. In my mind, the fact that Joshua had a low temperature and not a high temperature reassured me that he didn’t have his mother’s infection. I remember having one conversation with a midwife saying ‘at least we can relax about infection as Joshua’s temperature is low and not high’, to which she patted me on the back saying, “That’s right Mr Titcombe, Joshua is fine”. In the afternoon, my parents came to visit bringing Emily with us. My mum gave Joshua a cuddle and I remember the look of pride and happiness on her face. We have a much treasured photo of Emily holding Joshua, other nervous hands around him making sure he was safe. We didn’t know it then, but this would be the only time any of us would get to hold Joshua again. I went home for the night and made plans to bring Joshua home the next day. In the early hours of the morning (around 2am), Hoa, still on an antibiotic drip and feeling tired and in pain from the birth, woke up with concerns that Joshua’s breathing was laboured, fast and that he was making grunting sounds. She was so concerned she called the bell by the side of her bed. A midwifery assistant arrived on the scene. Hoa explained her concerns and Joshua was taken out of the room for around 30 minutes. Joshua was bought back into the room and again placed in a heated cot with some reassuring words to my wife that he was fine. The next morning I was at home, the baby seat in the car and the cot ready in the room. I received a phone call from the maternity ward at around 9am. I wasn’t told much information, only that ‘Joshua was having trouble with his breathing and that my wife was very upset’. I phone my Mum and explain what I had been told. I heard a gasp down the phone and she started to cry. I told her not to worry, that it was probably nothing serious but that I needed Mum and Dad to come around so I could go straight to the hospital. Within 10 minutes my parents arrived. I didn’t say much but rushed to the car and drove off. By the time I arrived at FGH, Joshua was in the Special Care Baby Unit (SCBU). Hoa was sitting in a side room in uncontrollable floods of tears. I tried to comfort her and reassure her that things would be OK. Then I went in to see Joshua. He was with a doctor and other nurses, breathing with his own lungs but with assisted oxygen via small tubes in his nostrils. A few moments later, the doctor told me that he needed to be fully ventilated and I was asked to leave the room. Around this time, my dad arrived on the scene. He and I hugged and we cried. Around this time, a young midwife with blond hair looked at us both and shook her head and tutted, asking, “Have you not been through anything like this before?” “No I haven’t”, I replied. Throughout the next few hours, we knew that Joshua’s condition was serious, but we weren’t given a clear picture of what was wrong. The doctor told us that he suspected Joshua had a heart problem, then that Joshua had something wrong with his oesophagus and needed some sort of corrective surgery. It was arranged for a transfer team to come from Manchester. The transfer team arrived and set to work trying to stabilise Joshua for transfer. Looking back, it’s hard to explain what was going though my mind, the reality of the situation hadn’t sunk in and we were all confused and in shock. The first time the scale of what was happening hit home was when a transfer nurse took me to a side room to talk. She told me that Joshua was in a very serious condition and that if he survived, we had to be aware of the possibility that his oxygen levels may have dipped to levels that could have caused serious brain damage. Within the space of a few hours, I had gone from the anticipation and joy of preparing to take home a healthy baby son, to being faced with the possibility that Joshua was going to die or survive with serious disability. I didn’t want to believe what I was told. My world turned upside down. We were devastated and in shock. The transfer team arrived and I had a conversation with a transfer nurse called Andy. Andy talked to me about what they thought was wrong with Joshua. He told me that when they had swapped his ventilation tubes, there was brown sticky secretions that looked like merconium (this is the substance that babies produce with their first bowel movements) and explained that this could be one of Joshua’s problems. I talked to Andy about the history of the birth and mentioned that Joshua had been very cold during the day and night and had needed to be constantly heated. At this point Andy looked at me and said, “A low temperature is a classic sign of infection in babies”. I was stunned and overcome with disbelief. Joshua had repeatedly had a low temperature since his birth. If this was a classic sign of infection in babies, why hadn’t someone referred Joshua to a doctor and given him antibiotics earlier? From that moment, I was acutely aware that something had gone very badly wrong at Furness General Hospital. I had a sense of incredulity about what was happening. It didn’t seem real or possible. I wanted to scream as loudly as I could and demand answers then and there. But our focus had to be on Joshua. More than anything else we wanted him to pull through and get to take him home. In the late evening, the transfer team was ready to take Joshua by ambulance to Manchester. We were told we couldn’t travel with him and that we would have to make our own way. Hoa was discharged still with the cannullas from the drips sticking in her arms, bleeding from the birth and still in pain. We made arrangements for my parents to look after Emily and at around 10.30pm, we set off by car for Manchester St Mary’s. I was not in a fit state to drive. At one point, I remember being barely able to see the motorway ahead of me. I was doing 45 miles per hour in the inside lane with cars beeping behind us. We pulled into Lancaster services and I told Hoa I couldn’t drive any further and we need to get a room in the Travelodge and rest for the night. Hoa was hysterical and screamed that she didn’t want to leave Joshua alone. She wanted to be with her son. I got out the car and walked to the service area shop. I bought two cans of red bull and some caffeine strips (the kind you put on your tongue to dissolve) and went back to the car. We carried on the journey and eventually arrived at Manchester St Mary’s in the early hours of the morning of Wednesday 30th October. We went straight to the neonatal intensive care unit and were greeted by a lovely nurse. She was kind and spoke in a soft voice, explaining what was happening and how Joshua was. We were informed that blood samples taken from Joshua in Barrow showed that he had overwhelming pneumococcus infection, the same infection that my wife had collapsed from shortly after Joshua’s birth. There was nothing wrong with Joshua’s oesophagus and he had a healthy heart. This news only served to further our concerns about Furness General Hospital. How could this have happened? But now wasn’t the time for questions, we had to focus on Joshua. A consultant had been called in the middle of the night to manage Joshua’s intensive care. Joshua was on a ventilator and was receiving maximum life support. His oxygen levels were being monitored and his saturation (the measure of how much oxygen was in his blood) was acceptable and steady. The problem however was that we were told that if Joshua’s condition deteriorated, there was no Plan B. The conventional life support was turned as high as possible and would be putting pressure on Joshua’s heart. It was at this time that the word ECMO was first mentioned. ECMO stands for Extra Corporeal Membrane Oxygenation. In simple terms, this is a heart and lung machine. ECMO would involve Joshua’s blood being taken outside of his body and pumped into a machine that artificially does the job the lungs would normally do to oxygenate the blood. Whilst the machine does this, it would allow Joshua lungs to rest and recover from the infection, at which point the ECMO machine would be slowly wound down to allow Joshua’s own lungs to take over once more. But there were risks. Because ECMO involves taking the blood outside of the body through a series of tubes, to avoid blood clots, a drug called Heptin is needed to thin the blood. This increases the risk of internal bleeding, including to the brain. The risks were explained to us as figures. We were told that 80 per cent of babies survive ECMO and make a recovery, although often with other problems including brain damage which could vary from mild to severe. At about 3am, we left Joshua to try and get some sort of rest. We were taken to a small room with a single bed. Hoa still had two cannullas sticking out from her arms. I ask the nurse if I could have a paracetamol. She told me it was against the rules as I was not a patient. I rested on the cold floor at the side of Hoa’s bed. Neither of us slept. At around 7am we went to see Joshua again. His oxygen levels had been stable during the night, but he was still requiring maximum life support. Again, the stress this would be putting on his heart was emphasised to us and the discussion about ECMO raised again. There were different specialist centres in the UK that could provide ECMO and the Manchester team were going to make contact with them. Hoa and I were scared and unsure. I phoned my parents and explained the situation and they were unsure too. My brother-in-law Nic, a university lecturer from Leeds arranged to come to Manchester to meet us at the hospital. He arrived mid morning. By this time, Hoa had seen a midwife and the canullas in her arm had been removed and her stitches were checked. We asked to speak to the consultant about ECMO. Nic, Hoa and I went into a small side room to have the conversation. We talked in depth about Joshua’s condition and what the options were. In the end, I asked the consultant the only question we really needed to know. “If Joshua was your son, what would you do?” The response came without hesitation. “I would put my son on ECMO”. From that moment we didn’t feel we had a choice: if we refused the opportunity to put Joshua on ECMO and he died, we would never forgive ourselves. We agree that this was the right thing to do. A short while later we were told that a team from the Freeman Hospital in Newcastle would be transferring Joshua by helicopter. The transfer team arrived mid-afternoon, and we were taken through the consent forms. We signed the forms to confirm that as Joshua’s parents, we understood the risks and authorised Joshua to be placed on ECMO at Newcastle. I made one request. I understood ECMO to be the Plan B. If Joshua’s condition deteriorated further there would be a backup plan to take over. I asked the transfer team to make sure Joshua wasn’t put on ECMO in Newcastle unless he needed to be and that my wife and I would like to be phoned before such a decision was made. This was agreed. Joshua was stabilised by the Newcastle team and transferred by helicopter to Newcastle. Nic, Hoa and I followed by car. After about an hour, my mobile phone rang and I pulled in to the side of the road. It was the team in Newcastle. Joshua had arrived safely but the Newcastle consultant felt that Joshua needed to be put on ECMO straight away. His oxygen levels were stable but he was receiving maximum life support and his body was under stress. We were told that ECMO was Joshua’s best chance of survival and that the consultant felt that Joshua’s chances of survival were closer to 90 per cent than 80 per cent given his specific presentation. I ask Hoa and Nic what they thought and we all felt we had to follow the advice we were given. We carried on the journey and arrived at the Freeman Hospital about two hours later. We parked the car and walked to the main entrance of the hospital. Just as we got to the entrance, a female member of the transfer team came out the door. She recognised us and immediately reassured us that Joshua was fine. He had been transferred to ECMO successfully and was doing well. She gave us directions to the neonatal intensive care unit and we walked along the corridors until we found it. It wasn’t long before we were greeted by the consultant looking after Joshua on the unit, the consultant was the kind of person that instils an instant sense of trust. She spoke factually, but empathetically and with kindness. she was clearly passionate about what she did. She spoke to us at great length about Joshua and showed us some photos and letters from babies and children who had been treated by ECMO in the unit in the past and made a recovery. It was then time to go and see Joshua. We were warned that there would be a lot of tubes and equipment, but when we saw Joshua we were shocked at just how much equipment there was around him. Despite this, he looked comfortable and at rest. He was under a lot of sedation so his eyes were closed, but his little hand was moving up towards his mouth and if you put your finger in his hand, he would grip it like babies do. This is how we saw Joshua over the next seven days; cold, sedated and hooked up to machines supporting his life. We wanted desperately to pick him up and cuddle him. As parents, we were scared, anxious and desperately wanting to take our little boy home. We were given accommodation in a flat within the grounds of the hospital. Over the next few days we started to get in to a routine. There was a small room in the children’s ward where mothers in the hospital could express milk for their babies. When we weren’t by Joshua’s side or sleeping, we spent time here. We nick named the room the ‘therapy room’ because that’s what it was for us. Hoa was able to express milk for Joshua and we had conversations with some of the lovely and supportive children’s nurses on the ward. Talking helped. The next five days were positive. Although desperately worried and anxious, our main concerns were for Joshua’s brain condition. The thought that we could loose him had been pushed far back in our minds. On the 3rd November 2008, things changed. That night, the consultant on shift looking after Joshua felt that the condition of his lungs had improved sufficiently to see if Joshua could be ‘weaned’ off ECMO in order to breath with his own lungs again. Hoa and I found out about this the next morning when we went to see Joshua. The weaning had been unsuccessful, but more worrying; Joshua had developed major swelling around his stomach and abdomen. The cause of the swelling wasn’t clear at the time. Throughout this time Hoa was sending messages to her parents in Vietnam. Hoa’s mother had booked tickets to visit England the previous month, expecting to come and visit her daughter and to help with the new baby. A few days earlier my parents had driven to Newcastle bringing our daughter Emily with them and staying in a nearby hotel. Over the next 24 hours, things became clearer. Unknown at the time, Joshua’s left lung was more damaged by the infection than realised. When he was in the weaning process his left lung started to bleed from an area of lung that had become necrotic. His situation then became ever more desperate. A drain was inserted into his abdomen which released a large amount of blood, but the bleeding was profuse and unstoppable; the situation made so much worse by the blood thinning Heptin that was needed to stop blood clots in the ECMO equipment. Over the next 24 hours, the staff tried hard to save Joshua. In desperate measures, the Heptin drug was stopped and a second ECMO machine and circuit was put on standby to allow a quick change over should any blood clots occur in the system. There would be one final chance to save him. On the night of the 4th November, staff would make one final attempt to wean Joshua off the ECMO machine. If successful and Joshua was able to sustain breathing with his own lungs, an operation on the necrotic part of Joshua’s lung could be performed and Joshua was likely to survive. The plan was explained to us. By this time, my parents and Emily were with us. We stayed with Joshua as long as we could that evening, before going to our flat for the night knowing that the next few hours would be critical. We didn’t sleep and although I’m not religious, that night we both prayed Joshua would make it through. The next day, in the early hours of the morning I phoned through to the unit. Joshua was still being weaned, was ‘nearly 100%’ off the ECMO machine and things were looking good. I updated my parents who were staying in a nearby hotel and a short while later, we met in the relatives waiting area of the unit. We were anxious to see Joshua who we thought must have been weaned off ECMO by the time. After a while, my father and I walked from the relatives room onto the corridor and looked into the room where Joshua was. In alarm we could see a large number of people around Joshua. Noticing us at the window, a consultant whom we hadn’t met before came to the door and told is quite abruptly that “the wean hasn’t been successful” and Joshua is back on full ECMO. My father and I both broke down in tears. We went back into the relative’s room and the whole family cried together. We knew Joshua did not have long left. A few moments later, a male consultant came into the room with a sorrowful look on his face. Joshua was bleeding profusely, it might be possible to operate to remove the necrotic lung whilst he was still on ECMO, but to do so would be futile and only serve to extend Joshua’s suffering. We simply couldn’t cope anymore and in tears agreed to let Joshua go. I begged the doctor to help Joshua go without any pain and he nodded his head and told me he would. At exactly 12.15, he came back into the room and told us that Joshua had gone. I have never felt such pain or grief, but worse still was seeing the pain in my wife. The emptiness and sorrow on her face was unbearable. The staff at the Freeman Hospital were kind and caring. They told us that Joshua would be stitched up and we could then go and say our final goodbyes to him and hold him for the last time. A short while later we went into the room, we decided to let Emily come with us; this was her brother and we wanted the family to be together. This was the first time we had seen Joshua without the tubes, wires, patches and the equipment that surrounded him since the day after this birth. Joshua was lying on the bed in a nappy, his skin was more yellow than normal, there was a small drop of blood from a cannulla that had been in his arm, he had stitches in his abdomen where the drain for this lung had been, but most of all, he looked like a perfect and beautiful baby boy. We took it turn to hold him, kiss him, to tell him how much we loved him and how sorry we were. And then we had to say goodbye. In the nicest possible way, the nurses told us that Joshua had to be moved out of the room and we understood. Other babies needed to be cared for and staff needed to do their best and carry on with their jobs. We talked about the practicalities, where Joshua’s body would be sent to. We were given the option of taking Joshua’s body away with us back to Cumbria by car. This, we simply couldn’t face. Joshua was taken to the mortuary and we left the unit. We decided to spend a night at the hotel where my parents were staying and to drive back home the following day. Hoa and I left the hospital. It was a cold November evening; the smell of fireworks were in the air and we heard the occasional bang and explosion as we walked to the flat the fetch our things. We got back to the hotel where my parents were staying later that evening. The night was spent in tears, desolate and empty. The next day, my parents took Emily in their car. It took some time to get Hoa into our car. She didn’t want to move. On the way back home, Hoa tried to jump out of the moving car twice. Each time I had to swerve and stop violently. My wife simply didn’t want to live. Our lives would never be the same again. This entry was posted in Uncategorized on August 15, 2014 by patientsafetyfirst.